New penny stock Sefe, Inc. (OTCBB: SEFE.OB) recorded 928 trades on volume of 3,249,032 shares to close up 8 cents, 8.26%, at $1.05 in the last trading session. The company was founded with the aspirations of developing and bringing to market a renewable source of energy that naturally occurs in the atmosphere via what they have called “Harmony Units”. Think: Ben Franklin with the Kite just a bigger. The penny stock of SEFE has a 5 day percent gain of 23.53%, 5 day moving average 0.95 and a 5 day average volume of 2,061,690. SEFE has a Market capitalization of $54.89 million with 52.28 million shares outstanding. The goal of SEFE is to use their proprietary methodologies and inventions in order to capture and convert this naturally occurring atmospheric static electric energy to usable energy. Their Science and Technology Center is currently located at 3200 Valmont Boulder, CO 80301. For more information on SEFE stock, click here. Bottom Line: Doc Brown explained in 1985 that the only available power source capable of generating 1.21 gigawatts of energy is a bolt of lightning. Add the penny stock SEFE to your stock watch list and track it for momentum. This is another one of those OTC stocks to day trade. 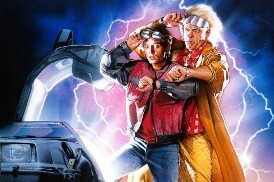 Be careful of getting to deep into SEFE or you may be calling Doc to crank up the DeLorean and dust off the flux capacitor to get back into a favorable trading position. Last updated by Aim High Alerts at April 3, 2012 .